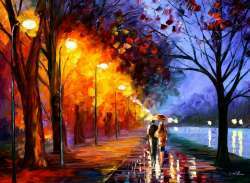 I recently ordered 3 paintings from Afremov.com: Colorful Night, Fiesta of Birches, and Forest Stream. My order arrived in about 3 weeks (2 paintings were specifically requested sizes purchased during a special offer period) and all 3 are extremely vibrant and colorful palette knife paintings that I am proud to display in my home. I would describe the style of my 3 paintings as abstract landscapes, and I love the style. I must also mention the wonderful customer service. When I received Forest Stream, I realized it was not the correct painting that I had ordered (there are 2 paintings entitled Forest Stream), but they promptly made things right, going above and beyond what I had expected. 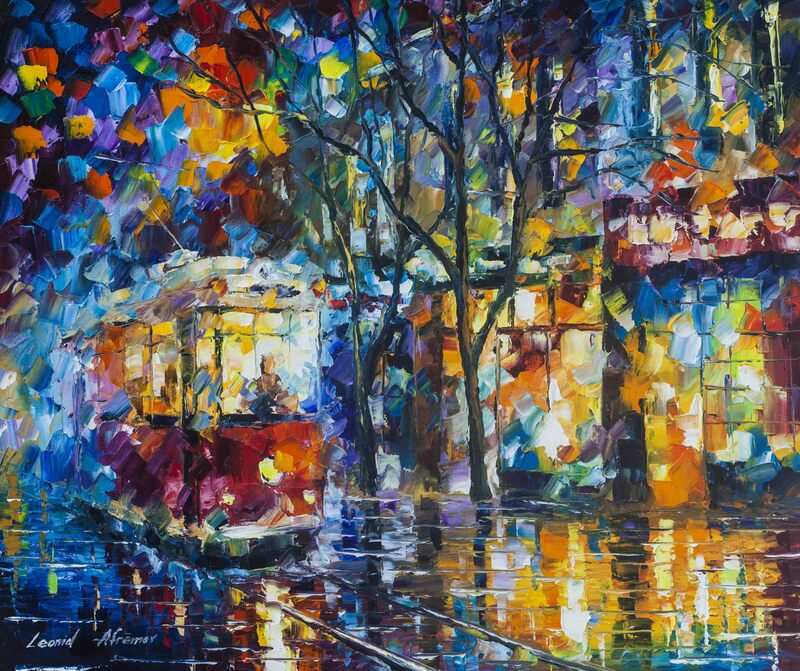 Thank you for that Afremov.com, and thank you, Leonid Afremov, for allowing us the opportunity to afford and own these visually striking works of art. I will definitely be ordering again.